800W (1+1) Redundant Power Supply, 12 x 3.5" Hot-swap SAS / SATA Drive Bays, With Universal I/O (UIO) Card: 3 x Full-height, Full-length I/O 3 x Low-Profile Expansion Slots Without Universal I/O (UIO) Card: 4 x Full-height, Full-length I/O 3 x Low-Profile Expansion Slots. 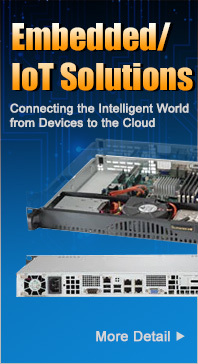 800W Redundant Power Supply, 12 x 3.5" Hot-swap SAS / SATA Drive Bays, 7 x Low-profile, Full-length I/O Expansion Slot. 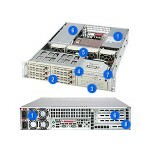 1200W Redundant High-efficiency Gold Level (93%) Power Supply, 12x 3.5" Hot-swap SAS / SATA Drive Bays, Dual 6Gb/s SAS2 Expanders, Mini-i-pass (SFF 8087) connectivity (multi lane), With Universal I/O (UIO) Card: 3 x Full-height, Full-length I/O 3 x Low-Profile Expansion Slots Without Universal I/O (UIO) Card: 4 x Full-height, Full-length I/O 3 x Low-Profile Expansion Slots. 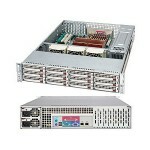 1200W Redundant High-efficiency Gold Level (93%) Power Supply,12x 3.5" Hot-swap SAS / SATA Drive Bays, Dual 6Gb/s SAS2 Expanders, Mini-i-pass (SFF 8087) connectivity (multi lane), 7x Low-profile Expansion Slots. 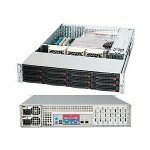 800W (1+1) Redundant Power Supply, 12 x 3.5" Hot-swap SAS / SATA Drive Bays, Hard Drive Backplane with 2x 28-Port 3Gb/s SAS Expander Chips & Enclosure Management, With Universal I/O (UIO) Card: 3 x Full-height, Full-length I/O 3 x Low-Profile Expansion Slots Without Universal I/O (UIO) Card: 4 x Full-height, Full-length I/O 3 x Low-Profile Expansion Slots. With Universal I/O (UIO) Card: 3 x Full-height, Full-length I/O 3 x Low-Profile Expansion Slots Without Universal I/O (UIO) Card: 4 x Full-height, Full-length I/O 3 x Low-Profile Expansion Slots. 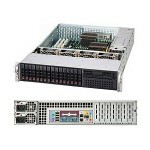 740W Redundant Power Supplies Platinum Level (94%), 8x 3.5" Hot-swap SAS / SATA Drive Bays, 2x Fixed 3.5" Drive Bays, 7x Low-profile, Full-length I/O Expansion Slot, Full SES2 support is available with SAS motherboards and other compatible components. 700W Redundant Power Supply, 8x 3.5" Hot-swap SAS / SATA Drive Bays, 2x Internal Fixed HDD Bays (Optional), With Universal I/O (UIO) Card: 3x Full-height, Full-length I/O 3x Low-Profile Expansion Slots Without Universal I/O (UIO) Card: 4x Full-height, Full-length I/O 3x Low-Profile Expansion Slots, 1x Serial, 2x USB Front Access I/O. 700W Redundant Power Supply, 8x 3.5" Hot-swap SAS / SATA Drive Bays, 7x Low-profile, Full-length I/O Expansion Slots, 1x Serial, 2x USB Front Access I/O, 2x Fixed 3.5" Drive Bays. 700W Redundant Power Supply, 3x 3.5" Hot-swap Drive Bays, 1x Slim DVD-ROM Drive, 4x Full-height & 3x Low-profile I/O Expansion Slots, 1x Serial, 2x USB Front Access I/O. Redundant 500W Power Supply, 6x 3.5" Hot-swap SAS / SATA Drive Bays, 1x 5.25" Peripheral Drive Bay, 1x Slim CD-ROM Drive, 3x Full-size, Full-length I/O Expansion Slots. 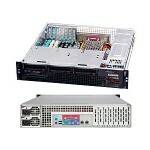 Redundant 500W Power Supply, 6x 3.5" Hot-swap SCSI Drive Bays, 1x 5.25" Peripheral Drive Bay, 3x Full-size, Full-length I/O Expansion Slots, External High Density SCSI Connector Slot. 920W Redundant High-efficiency Platinum Level (94%+) Power Supply, 16x 2.5" Hot-swap SAS/SATA HD Bays, 1x 5.25" drive bay, 4x Full-height AOC expansion slots 2x Low-Profile AOC expansion slots, Power Switch and 6x LED Indicators. 920W Redundant High-efficiency Platinum Level (94%+) Power Supply, 16x 2.5" Hot-swap SAS/SATA HD Bays, 1x 5.25" drive bay, 7x Low-profile AOC expansion slots, Power Switch and 6x LED Indicators.